Separately, a masked gunman stormed the mission house of the Christ Apostolic Church in search of Rev. Oluwarotimi Akinroyeje. On finding him the assassin opened fire, and, according to a witness, did not flee until ensuring the pastor had died. The killer did not steal anything and it appears he was only targeting Akinroyeje. Although the culprit’s motivation is unknown, several Christian leaders have been similarly targeted in Nigeria and elsewhere on the charge that they are successfully converting Muslims to Christianity. On Sunday, October 15, a group of Islamic militants in the Sinai region attacked St. George, a Coptic Christian church, as part of a staged operation to distract security forces while another group of militants successfully robbed a nearby bank. The attack, which involved the lobbying of grenades and exchange of gunfire, left three civilians—including a young child—three bank guards, and one soldier dead, and 15 people, mostly women and children, wounded. The church, which had sustained extensive damage from earlier terror attacks—its priest was killed last year and its congregation fled—was not occupied at the time. In four separate instances, Muslim authorities responded to Muslim mob uprisings against four individual churches in Minya—in one instance Christians were pelted with rocks during service—by closing the Christian buildings of worship down on the charge that they incite unrest and violence. As a result, thousands of Christians were left without a place to worship in the heavily Christian regions of Minya province. In one of these uprisings, on Sunday, October, 22, a mob of about 60 Muslim men were seen storming out of a mosque and marching to the nearby church of St. Moses, all while screaming: “no matter what, we’ll bring the church down,” and “Islamic! Islamic!” meaning the village must be entirely Islamic, with no place for infidel activities. According to the report, “The attackers attempted to break into the building, the first floor of which houses a pre-school nursery [that serves 38 toddlers and children aged 2 to 4] and reception hall. When they could not get through they set the main iron gate on fire and broke the CCTV camera on top of the gate.” They also hurled rocks at Christian homes and burned one Copt’s car. “As soon as the violence erupted, the police cordoned off the village and restored security, but caught no culprit.” Authorities proceeded to shut down the church, thereby leaving 1,000 Christian locals without a place of worship. Another Christian eyewitness described another mob attack along similar terms: “Following the [Islamic] Friday prayer [on October 27], many Muslims gathered into a mob and began to attack us. They threw stones at our homes resulting in breaking the doors and windows of some houses, injuring a Coptic woman… they set three stables owned by Copts on fire. They then headed to the church (the building services) and tried to attack it but the security guards who were assigned confronted them and prevented them from approaching the church.” Instead and to appease the Islamic rioters, security services closed the church up, thereby denying that village’s 1,800 Christian residents a place of worship. 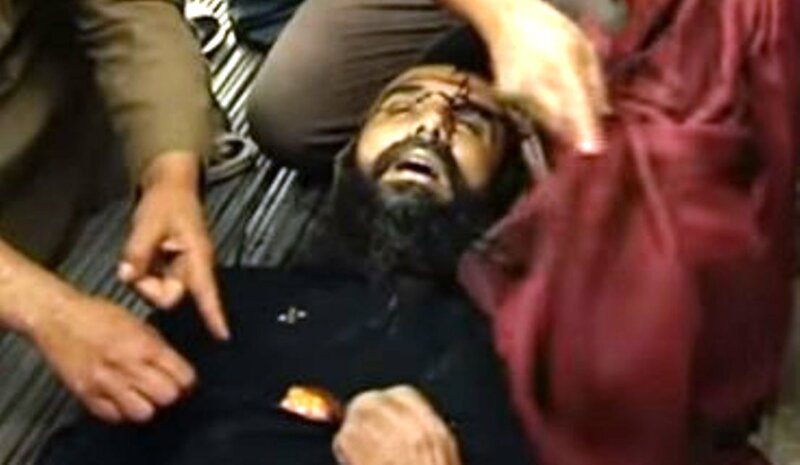 In response to this spate of Muslim mob uprisings against—followed by closures of—churches, the Coptic Orthodox Archbishop of Minya issued a statement on October 29: “We stayed silent for two weeks after the closure of a church hoping that the officials would do the job they were assigned to do by the state. However, this silence has led to something worse, as if prayer is a crime the Copts should be punished for… churches are closed, the Coptic Christians are being attacked and their property destroyed, and there is no deterrent.” The statement further called the Egyptian authorities’ responses “disappointing,” as their closure of churches punishes the victims while validating the will of violent mobs. Pakistan: Islamic terrorists hurled grenades on the Gospel Faith Church before fleeing the scene. Although there was significant damage to the property—including a church wall, the surrounding gate, and a parked car—no one was harmed as congregants had already left church. Sudan: On Sunday, October 22, police officers marched into a church in Omdurman and ordered its leadership to cancel the worship service. When they refused, all five were arrested and taken to jail; there they were threatened that they would be kept in prison indefinitely unless they complied. They were released twelve hours later. Nigeria: Unknown persons plundered the Kings Tabernacle International Church before setting it aflame. According to the report, “Burnt roof, drum set, PVC, electric wires, wall clock, light fittings ashes of completely burnt pulpit and alter rug littered the scene of the incident with smoke still billowing out from the burnt items. Sympathizers and members of the church gathered watching helplessly as the fire had already burnt down a part of the church completely.” Although the attack was registered as a criminal act of theft, Nigeria is roughly half Muslim and has witnessed the bombing and burning of hundreds of churches in recent years. Indonesia: An open-air Christian prayer service was canceled due to pressure—and threats—from Muslim groups claiming that the public event was a “plot to convert Muslims to Christianity.” “For the sake of interreligious harmony,” the Reformed Evangelical Church of Indonesia responded in a statement, “and to avoid acts of intolerance, the committee decided to call off the national prayer service to mark 500 years of Reformation.” Less than a year earlier, a Christmas service was also stopped by Muslim rioters.